A companion to the print (or digital) pattern. 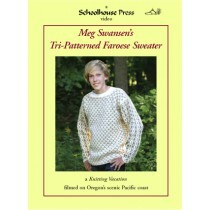 Join Meg Swansen on Oregon’s stunning Pacific coast while she designs and knits this beautiful Faroese Sweater. Featuring: a scooped neck, inset sleeves, color-pattern shaping, and flexible hems - Meg clearly demonstrates every technique necessary to construction, including steeks and all finishing details. 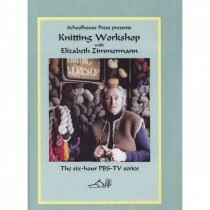 The video is priced to pair with the digital or print version of the pattern, which has all the charts, numbers, and written instructions you will need to knit your own sweater. 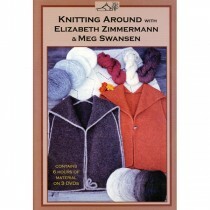 Knit along and make Elizabeth Zimmermann's Adult Surprise Jacket with master teacher Meg Swansen. 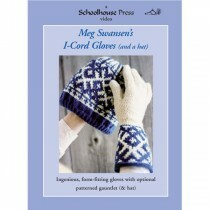 Meg is with you for every step of the construction, clearly demonstrating each technique, including casting on provisionally, marking stitches, decreasing and increasing, picking up stitches, binding off, knitting I-Cord, and much more. Plus Meg demonstrates a new technique for Hidden I-Cord buttonholes worked on raw stitches. 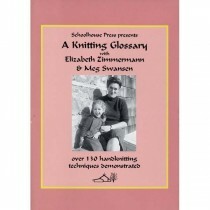 Meg pays special attention to the finishing details of this garment (curved neckline, border treatment, buttonhole spacing, and 3-Needle I-Cord bind off), addressing common issues that sometimes puzzle knitters as they work. DVD. approx. 70 minutes Note: The pattern is not included with the video. Meg provides a Knit Along with demonstration of construction and techniques. Purchase the pattern here.